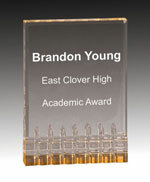 Acrylic awards are also known as Lucite awards. They are durable and shatter resistant. 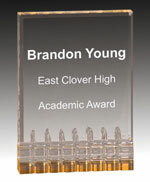 When acrylic awards and trophies are engraved, they provide a bright, frosted, high contrast effect, which makes them easy to read. 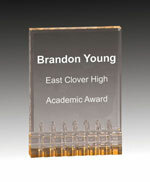 Many acrylic awards also provide the option of adding color to the personalization. 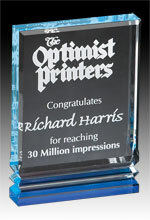 So if you have a color logo, adding it to an acrylic piece will make the award come alive and really “pop”. 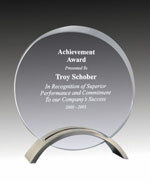 All our personalization engraving on acrylic awards and trophies is done on the back in a reverse method to provide more depth to the award. 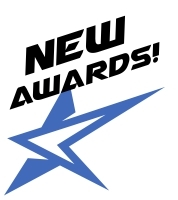 These awards and trophies really stand out and help you achieve that “wow” factor! I received exactly what was ordered and I received it very, very quickly!